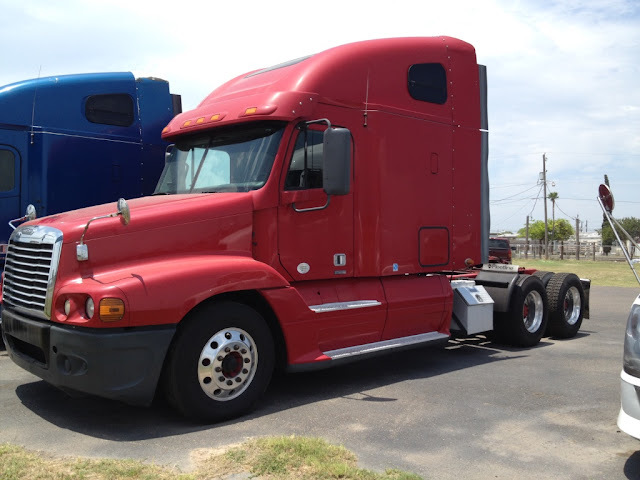 Truck financing is easy when you have bad credit and a stable job. You don't need a commercial driver license when financing a truck thru us. We've done fico scores in the low 500s, we've even financed a truck to a customer with no Fico score. What really counts is your job history, if you've been working at the same place for over a year and have good financials, (3,000-5,000) monthly deposits, that helps, but if you don't that's fine. Also, having your Commercial driver license is a big help as well when you don't have good credit. Again, its no impediment if you don't. Basically we can help you get financed if you have the worst of credit. DETROIT 14.8L 455HP, 10SPD AIRIDE JAKE 234WB 12K FRONT, 38K REARS, 70" HIGH ROOF SLEEPER, 150 GALLON ALUMINUM FUEL TANKS, DOUBLE BUNK BED SLEEPER, POWER WINDOWS, HEATED MIRRORS, AIR RIDE SEATS, SIDE FAIRINGS, ALUMINUM POLLISHED WHEELS, SLIDING 5TH, CRUISE CONTROL, SINGLE STACK. Finance heavy duty trucks with bad credit or no credit. Low down payment, and low monthly payments. Affordable prices and affordable financing for all credit types.